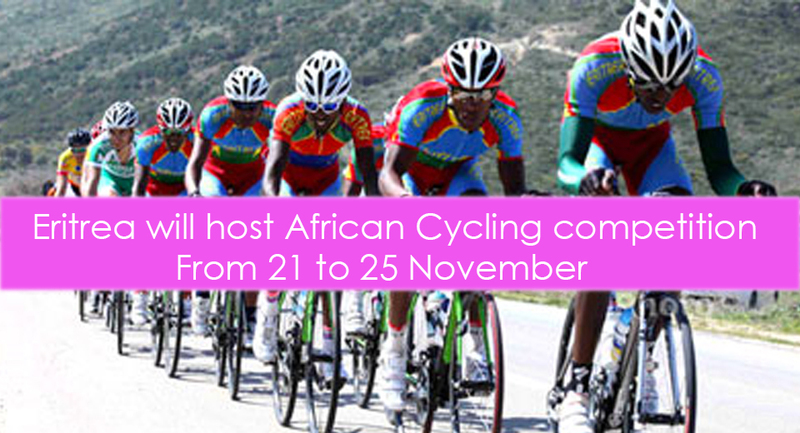 Ambassador Zemede Tekle, Commissioner of Culture and Sports announced that the Eritrean Cycling Federation in cooperation with the African Cycling Confederation will host African Cycling competition, which the first of its kind, from 21 to 25 November. Indicating that Eritrea is hosting the competition for the first time, Ambassador Zemede pointed out that preparation for the competition has already been finalized. The competition that is recognized by the International Cycling Union (UCI) will include both men and women categories as well as chronometer. According to the UCI report the Eritrean cycling national team stands second at African level following South Africa. According to Ambassador Zemede, Eritrea will sponsor the competition. Ambassador Zemede also called on the public to strengthen participation for the successful implementation of the competition.